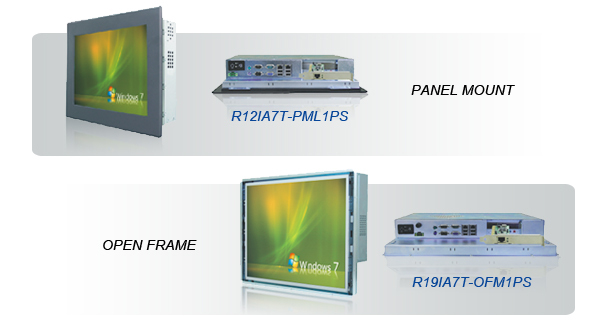 Winmate is supplying Panel PC with PCI extension card function to meet increasing customized demands. There are various selections including size from 10.4" to 19" and mechanical housing comprised of Open Frame and Panel Mount. The main benefit of PCI extension card is to enhance flexibility in use. As application for Panel PC is getting broadly, traditionally fixable I/Os have not satisfied users anymore while multi and changeable I/Os have been emphasized in the market. PCI slot exactly provides the specific interface for users to freely install additional I/O function they need, like VGA card and Ethernet card. 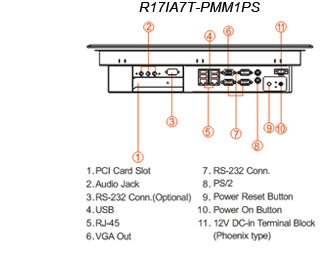 The PCI technology can also easily integrate different hardware inside the PC. With Intel® Atom N270 1.6GHz Processor, PCI slot solutions that Winmate releases are 10.4", 12.1", 15", 17", and 19" and two mechanical housings (Open Frame, Panel Mount) can be selectable. 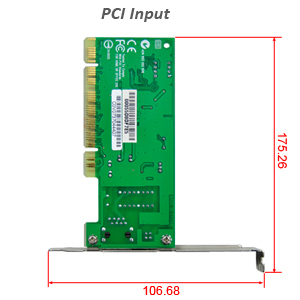 Designed for one PCI slot, this solution can only support half-size PCI card (15.24x 175.26x 106.68). High flexibility in adjusting I/Os and functions, available for USB card, VGA card, capture card, and Wi-Fi card which are PCI-interfaced.